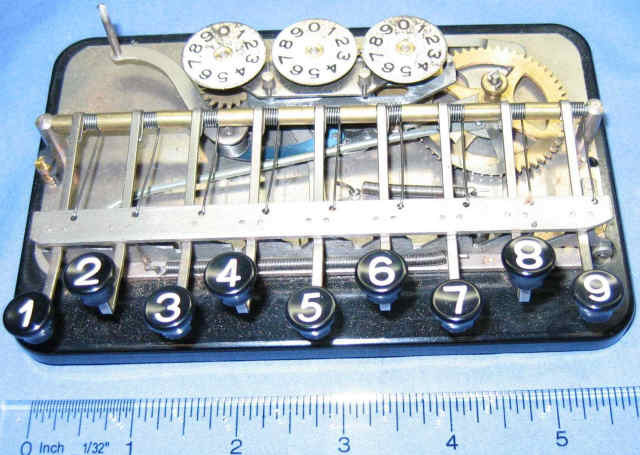 Aderes Column Adder - Adix Style Mechanical Adding Machine circa 1935? 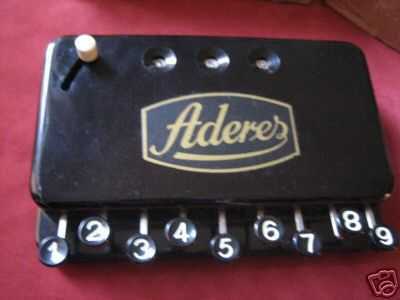 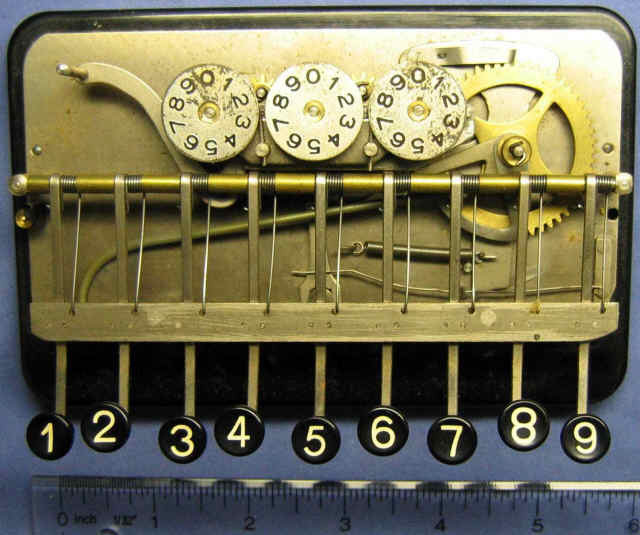 The Aderes is a later variant of the famous Adix Calculator, which was made in Germany around the turn of the centruy, and the first calculator to use Aluminum (to reduce the weight). 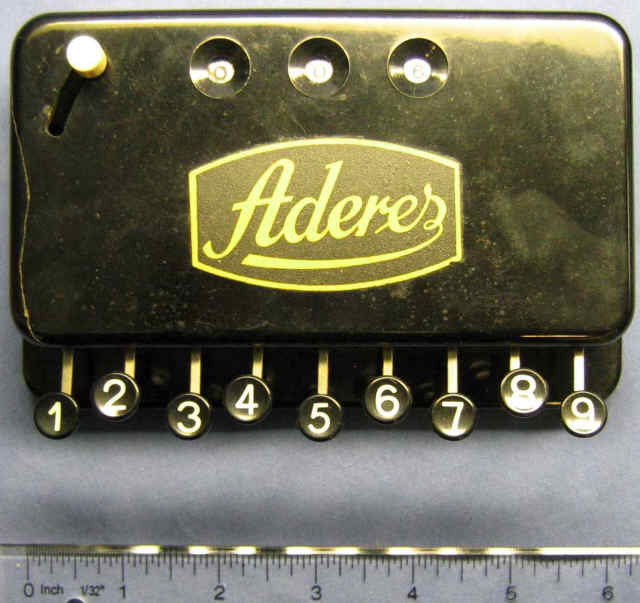 Here's a blurry video of the Aderes (note: audio is delayed slightly).